If you or someone in your home struggles with allergies, you know it can be a chore trying to stay on top of managing the cleaning around the home. Carpets can contain dirt, pollen, dust, and more. So making sure to clean them regularly can help reduce your allergy symptoms. Some cleaning products can be an irritant, and mimic the symptoms of your allergies. 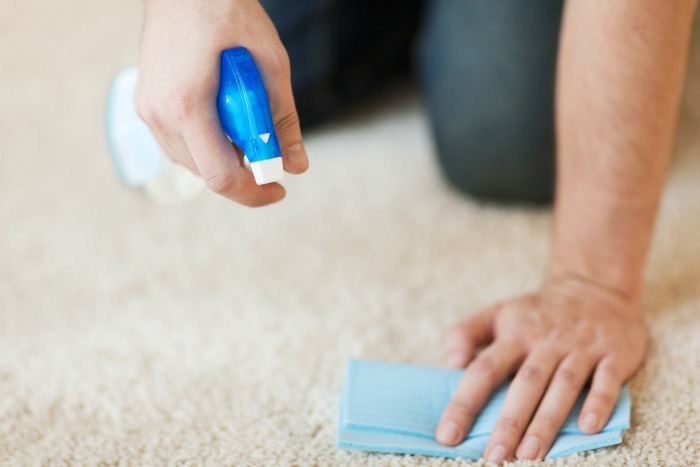 Here are some carpet cleaning tips to help reduce your allergies. If you suffer from allergies, using non-toxic “Green” cleaning products are best. They won’t contain harsh chemicals that can irritate you, and mimic allergies. Baking soda and vinegar are amazing cleaning products that are non-toxic, for cleaning up stains. Make sure you vacuum your carpets often using a double bag or a HEPA filter vacuum. 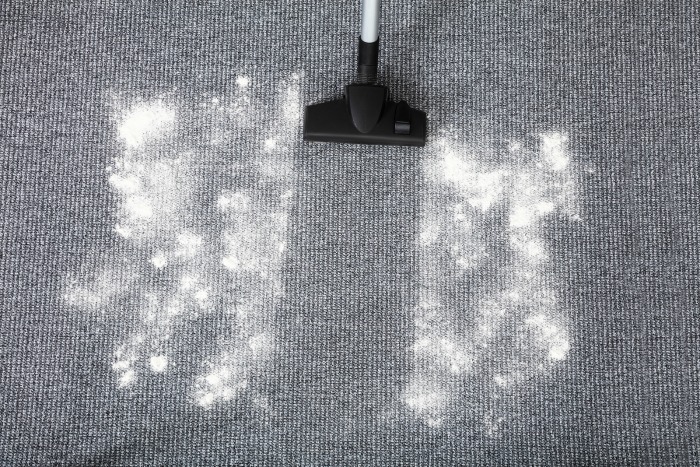 You can also sprinkle baking soda on your carpet and let it sit for 15-30 minutes, and then vacuum it up. This will help draw out any odors out of the carpet. 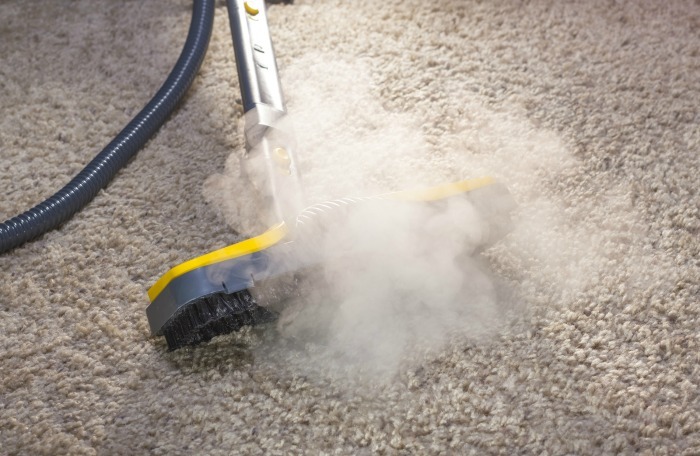 The best route for cleaning your whole carpet is getting it vapor steamed. The reason why this method is best, is because it heats the water to 221 degrees, and the hot steam destroys allergens and bacteria in the carpet. It will help remove almost all allergens in the carpet, and really get your carpet clean. Using the water type of carpet cleaners can flare up allergies. Did you know that mold can begin to grow within 12 hours? You can buy a machine to use, or hire a professional to come in and clean your carpets. First off I recommend testing this on an area before you jump in, to ensure it won’t hurt your carpet. This works great for pet urine, spilled drinks, and other stains. Simply add some vinegar to the area that needs to be cleaned. Then sprinkle a little baking soda over the area that the vinegar was poured. It will start to foam, and just allow it to bubble on the floor and work at pulling out the stain. Wait a few minutes, and then start to blot and wipe up the stain. 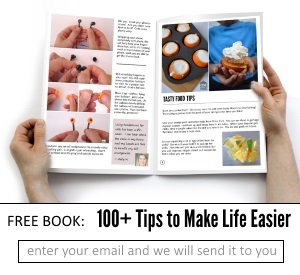 Continue blotting and wiping until it is clean. Then after it dries vacuum up any of the leftover baking soda that is on the carpet. Make sure to check out our carpet cleaning hacks too! 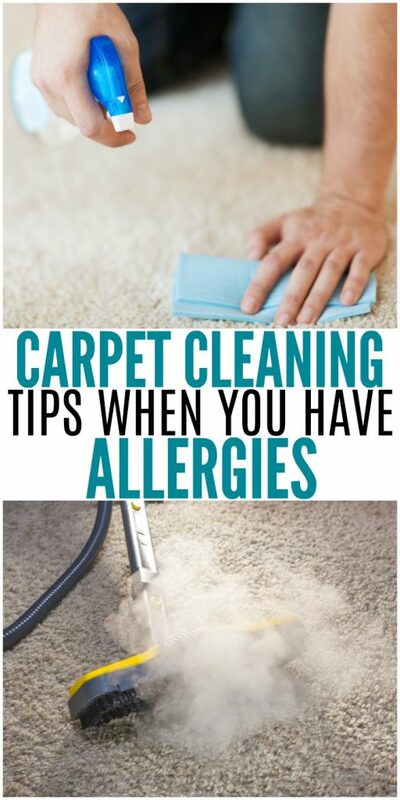 I hope these carpet cleaning tips can help you to keep your carpet as clean as possible and help reduce the allergens in your home.